Cities are hybrid entities based on multilayered and sometimes contradictory organizing principles. As complex networks of geographic, economic, political and cultural segments, they are caught up in a constant process of differentiation. How are we to understand such dynamic processes, especially the complex connections between individuals, whose movements and interactions leave traces in the urban landscape? 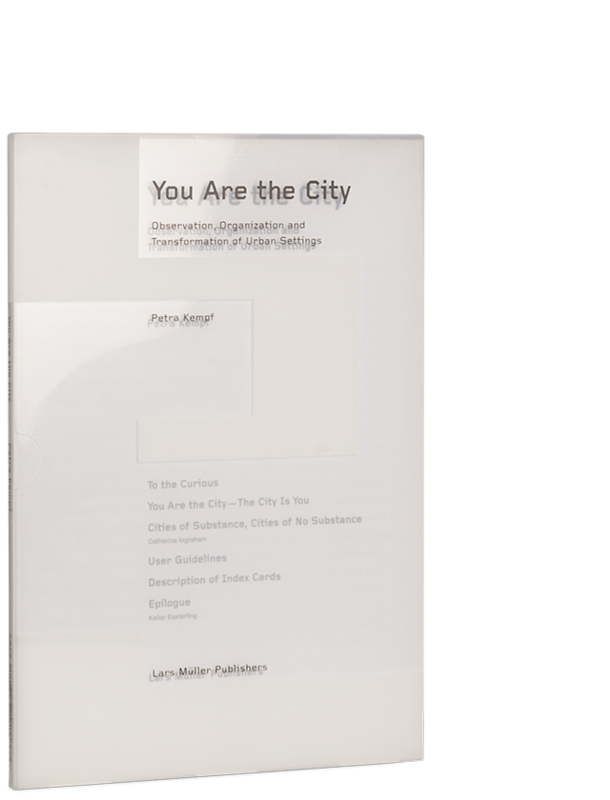 This publication offers architects, urban planners and general readers interested in city design and growth a novel approach, a mapping tool that creates a framework for understanding the continually changing configuration of the city. With transparent slides, the tool allows one to superimpose various realities like layers and build new urban connections. It invites readers in short to immerse themselves in the complexity of our cities.